It's time again for the latest installment in our series of new Japanese learning resources. Before we begin, you probably noticed that we're covering both May and June together in one article. That's because, to put it bluntly: these months sucked! Not many new resources came out, and those that did tended to be clones, illegal, or simply not good enough for us to feel okay about sharing with all of you. While this two-month list may be small, hopefully some of you will enjoy what little we have to offer. This new podcast is another entry into the world of bilingual Japanese-English podcasts like Bilingual News and Bilingual NY—a category that could honestly always use more entries, if you ask me. HG stands for ヘタレ外人, which you can translate as something like "lame/weak foreigner" podcast. Some episodes break from the formula—one covers JLPT prep and grammar mistakes—but all of them are focused on improving your Japanese language skills. 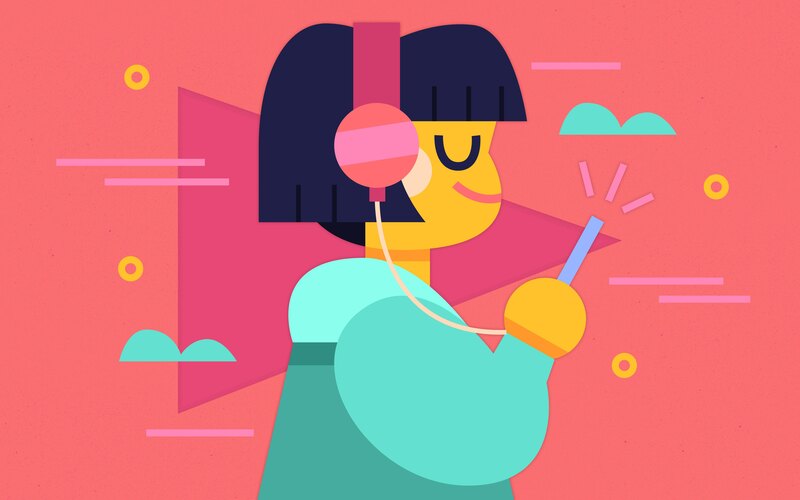 Run by a native English speaker who lives and works in Japan, the goal is for him to record himself speaking with his Japanese friends to both get better and share his experience with listeners and fellow learners. It's meant to bridge the gap between native/native conversations and non-native/non-native conversations. The inspiration behind this, according to episode one of the series, is that when we try to find native Japanese material to study from, when it's native/native Japanese, those speaking tend to go quite fast and use complicated terms. However, native speakers often speak clearer and slower when they know they're speaking to someone who is learning their language. Being his own guinea pig, HG can also ask questions a native wouldn't think to ask. All of this adds up to a series of casual conversations you can use to improve your listening and learn along with the creator. The audio quality isn't fantastic, but it certainly isn't the worst I've heard. Each episode also starts and ends with (fairly long!) songs in Japanese, which you may or may not enjoy, but overall this podcast is definitely worth a listen if it lines up with your current level. 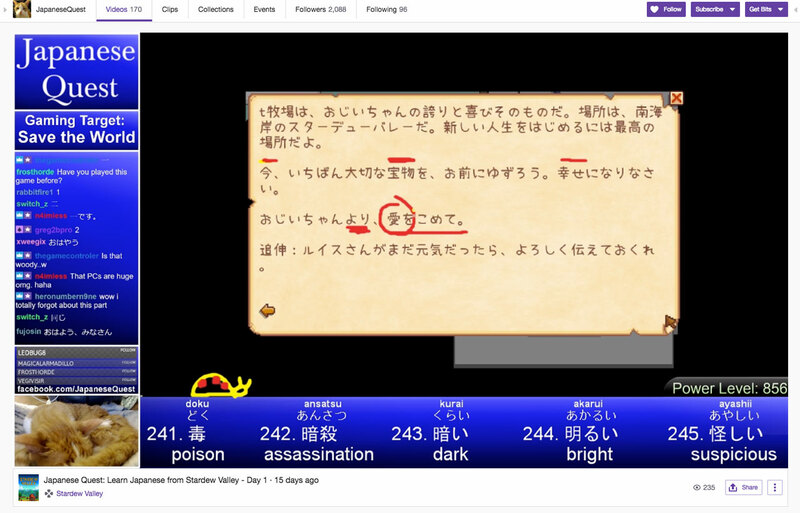 This Twitch channel is run by a Japanese language teacher! Akira先生 plays through different video games in Japanese, going through the words and grammar one by one. There is a Discord where you can discuss your own "Japanese Quest," and when he streams, if you catch him live you can ask questions about the language as he plays. You're meant to start at the beginning of the videos and work your way to the present, keeping track of new words in a spreadsheet made by the teacher. There's also a convenient Anki deck with all of the words he's covered so far. He hopes to help all of you level up your Japanese skills and (hopefully) get that vocabulary power level to over 9,000 (words). The channel isn't new, but this past month Akira先生 started teaching with Stardew Valley in Japanese—a game we've recommended in this series before! If you're already using the game to study, these videos are the perfect companion to make sure you're getting the most out of it. If you enjoy his run of Stardew Valley, there are also tons of videos featuring Zelda: Breath of the Wild and Xenoblade Chronicles 2 that you can choose from. He hopes to help all of you level up your Japanese skills and (hopefully) get that vocabulary power level to over 9,000 (words). And if you're already watching streams, you might as well learn something while you're at it! This little Chrome extension adds some functionality to popular online dictionary Jisho.org that can help you keep track of the words you search the most. Basically, it lets you toggle a list under the search bar on the main page that will show the last ten searched items in order. This is helpful if you're the type of person who has trouble keeping track of your tabs or generally forgets things easily. 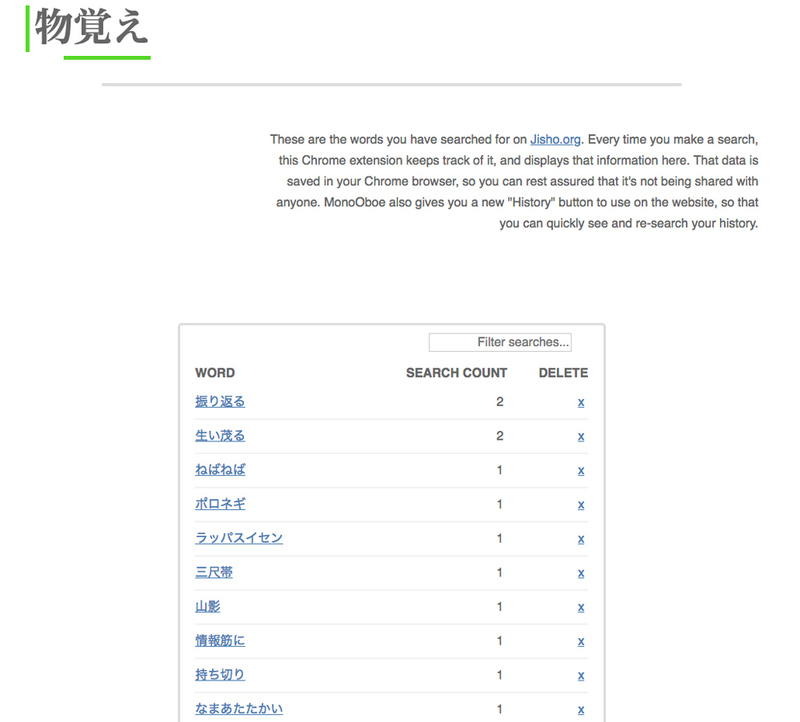 Even better, if you click on the MonoOboe link from Jisho, you can see your search history, including the number of times you searched for each item. This lets you keep track of words you come across often and aren't remembering—the perfect list to add to your SRS study method of choice. If you aren't already keeping track of your trouble words, this extension can be the first step you take to getting a healthy study habit started! You knew it was coming. I can't not mention the newest chunk of Terrace House episodes that were released last month. We've explained why they're important four times (here, here, here, and here), so I'll spare you. Just give it a try, if you aren't on board already.